With over 17,000,000 downloads, WooCommerce is the most popular Ecommerce platform on the web, so you can rest assured you’re in great company. WooCommerce gives you complete control of your store, from GST to stock levels to shipping to customer accounts. Add and remove extensions, change your design, and switch settings as you please. It’s all under your control. A WooCommerce Store Can Be Anything You Want it to Be. Supported by the Best in the Business. Integrates with Your Site Content. 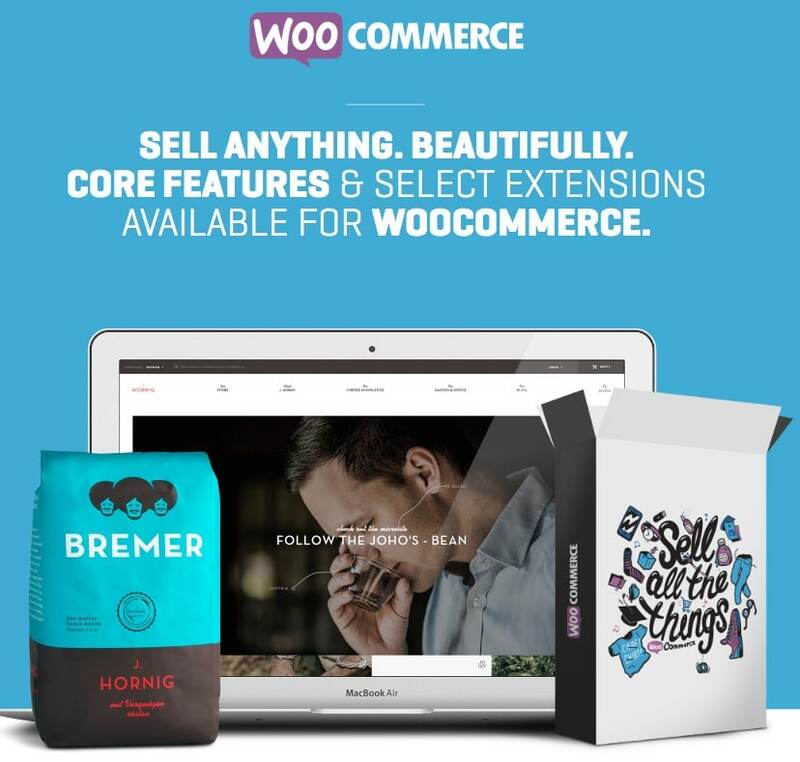 One of the great features of WooCommerce is it’s flexibility by adding extensions. These extensions do come at a cost, typically ranging from FREE to $200+ and many have yearly renewal plans. However, this simply means making informed decisions about which extensions you really need at key points in the growth of your business. All websites need to be hosted and WooCommerce is no different, however it simply resides on the same server as your WordPress website. Hosted platforms like Shopify add hosting costs to their monthly service fees. WooCommerce can generate a lot of database queries and place extra demands on your hosting. Choosing a hosting provider that actively supports WordPress/WooCommerce, and can handle the amount of traffic you expect on your site, will alleviate any issue. I’ll be happy to discuss the various options with you at the appropriate stage of your project. With any independent platform you are responsible for keeping your site updated and secure. This simply means being aware of what updates are available and addressing them on your site. WordPress and WooCommerce have a streamlined updating process to make this process as efficient as possible. Unlike a hosted solution (like Shopify) you won’t get a WooCommerce store at the click of a button. Setting up and fully customizing a WooCommerce store will take a bit more effort, but the flexibility in having a custom store that you control is a reward well worth the effort in my opinion.